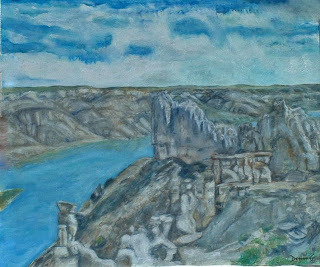 "Beyond Hole in the Wall"
The White Cliffs of the Upper Missouri Breaks are spectacular. In the off season it is possible to take day trips by motorboat, provided your guide has the proper permits. Otherwise, you must canoe in with your camping gear and haul everything out. It is scenic beauty which at times seems man made--architectural and sculptural forms abound. Some were pointed out, but others can be discovered on your own. You might see, as I did, sculpted busts. such as the one in the left foreground of this painting. Or, hiking up one of the many trails along the route, you might come upon seated figures carved out of the rocks by mother nature. 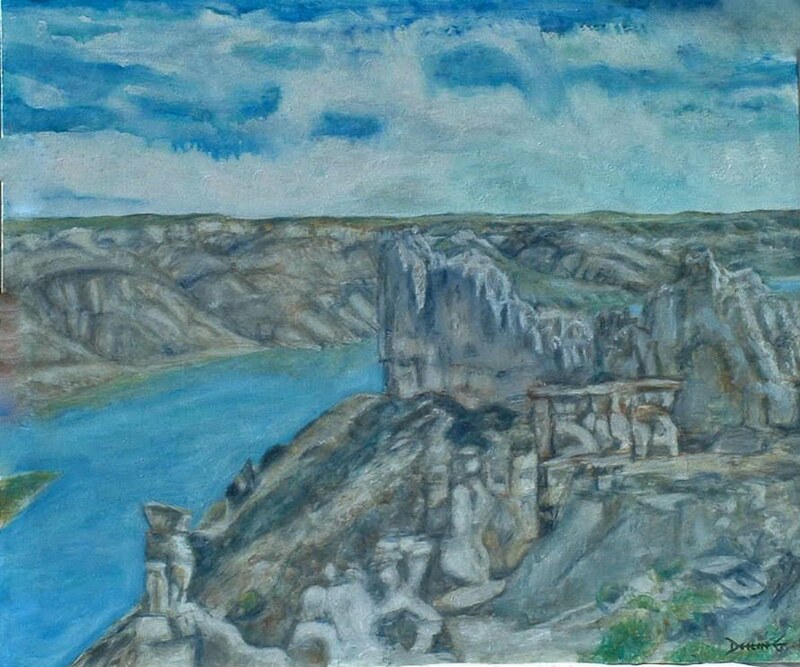 "Beyond Hole in the Wall" is a large scale oil on canvas painted in 2005.